Clever method! Quick & Easy! Curved or Pointed Blades! This is outright amazing! Designed by Mattie's husband, Steve, it is a GREAT way to make Dresden Plate! You will LOVE it. Just sew on the lines! Lays flat! The rounded edges yield a 13" plate, the pointed edges yield a 14" plate. 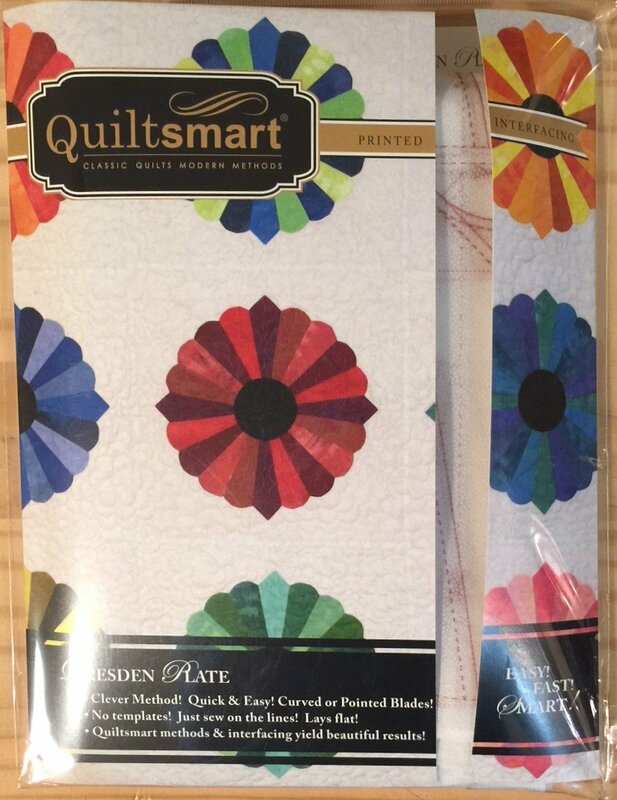 Includes 9 Panels of interfacing (each panel yields 1 Dresden Plate), Instructions, & Design Card. Inside the pattern is the wedge for the "view finder" so you can fussy cut shapes like the vintage lady shown in one of the pics. FIRST TIME USERS - Purchase the "Pack" first which includes instructions and interfacing! Panels are available separately for more quilts or larger quilts. Click on the image and use the side arrow keys to find more information and pictures!